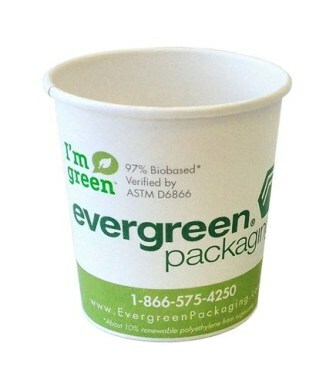 Evergreen Packaging has introduced new Sentinel paper and paperboard range for use in various food applications. The company’s new brand range includes Sentinel food service board and cupstock, Sentinel food grade packaging board and Sentinel flexible packaging paper. Sentinel paper and paperboard products have been developed for use in different food service and food packaging applications, enabling to meet various shelf life needs. The new products, which were developed to provide food processors with better runnability and converting performance, can be used by both retail and food service brands. Sentinel paper and paperboard can be moulded into different formats such as cups, trays, plates, ovenable board, cartons, flexible packaging and box liners, in addition to a range of other formats. Designed to be use in a range of applications, the Sentinel paper and paperboard are available in a variety of basis weights and coatings. Sentinel paperboard products were designed to be coated, extruded, or laminated with different coatings for multiple requirements, including extended shelf life. With manufacturing facilities in the US, Asia, Central America and the Middle East/North Africa, Evergreen Packaging supplies paper and paperboard products, including liquid packaging board. Evergreen Packaging paper and paperboard vice president Chuck Pembroke said: "As global leaders in liquid packaging board we have proven extrusion capabilities and understand how to design board and paper barriers to perform well within a range of shelf life needs. Image: Evergreen’s Sentinel paper and paperboard range can be moulded into different formats such as cups, trays, plates, ovenable board and cartons. Photo: courtesy of Evergreen Packaging /PRNewsFoto.